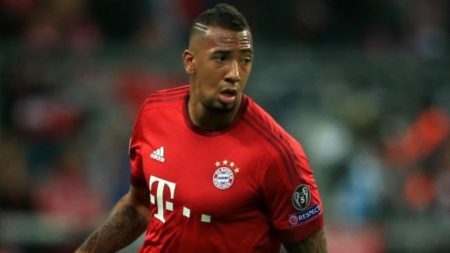 German tabloid Kicker claims that Arsenal have joined the race for German defender Jerome Boateng. Boateng has been linked with a move away from Bayern Munich with United and PSG indicating interest in the defender. The report also claimed that Bayern have lined up world cup winner Benjamin Pavard as a replacement for Boateng. Arsenal have emerged surprise contenders for the defender having contacted the German side over a potential transfer for Boateng. Bayern Munich have put an asking price of €50 million for the defender which could be too much for the Gunners. Manager Unai Emery is said to want one more signing in the defence despite bringing in 5 players this summer. Arsenal have brought in additions in the defence Greek captain Sokratis, veteran defender Lichtsteiner and stopper Bernd Leno. Emery is not impressed with Mustafi and Calum Chambers and is weighing defensive options for the club before the Thursday transfer deadline. Boateng would be an upgrade to all the existing defenders on the Gunners books despite his recent injury problems. He is a tried and proven performer on the highest stage and would represent a statement signing for the North London outfit.